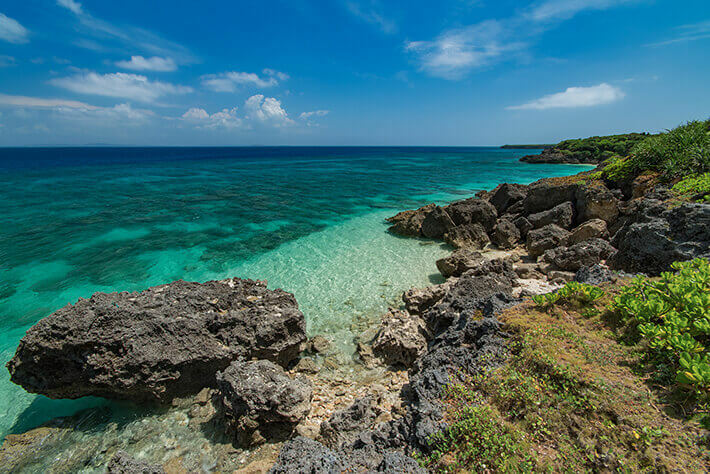 Kudaka Island is said to be the first place created by the legendary ancestor attributed to the creation of the Ryukyus, Amamikiyo. It is said that the festivals to pray for abundant harvests throughout Okinawa are also derived from the fact that Amamikiyo brought staple grains to the area, and during the Ryukyu dynasty era, the highest ranking officials of the kingdom, Kikoe Okimi (chief priestesses), and even the king himself would not miss the pilgrimage to this sacred island. To this day, most of the coastline of the island remains unspoiled, and the area is highly valued for its diverse plant communities that are found. The national government has designated the The Plant Community of Kaberu on the northeastern edge of Kudaka Island as a Natural Treasure. While there are various theories as to why Kudaka Island became a place of faith, the most famous is based on the concept of Niraikanai, a belief that God comes from the utopia of Niraikanai that lies beyond and deep under the sea. 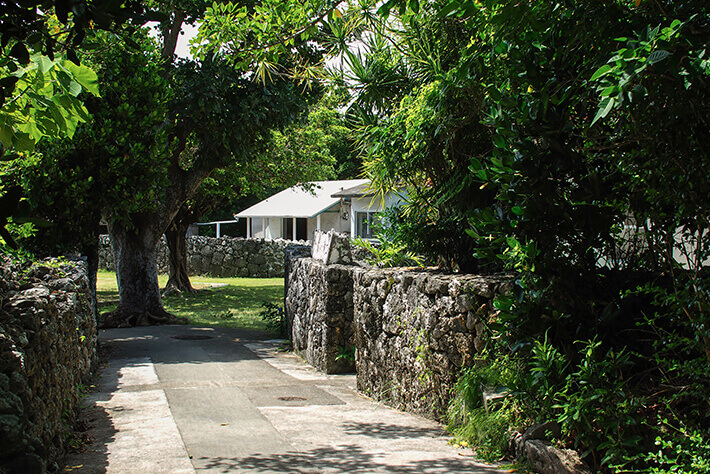 Kudaka Island, which is said to have been visited by the kings of Ryukyu over generations, continues to be the “Island of Prayer,” a famous subject pertaining to the faith of the people of Okinawa.Sefa Utaki, one of the most notable sacred places on the main island of Okinawa is also believed to have been built to worship Kudaka Island. 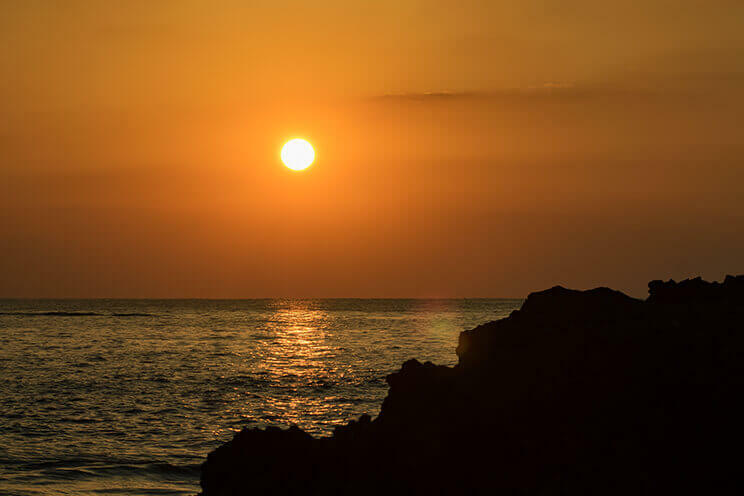 On Kudaka Island, where the entire island is regarded as sacred land, there are sacred sites, places of worship, and other spiritual venues, including Fubo Utaki and Cape Kaberu, which are among the Seven Great Sacred Sites of the Ryukyus. 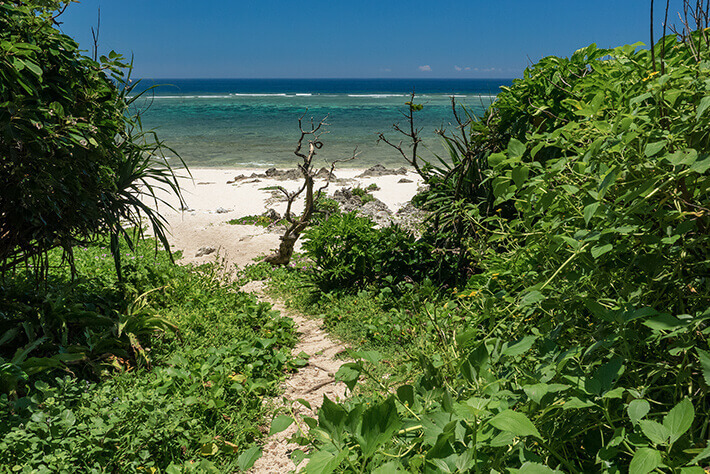 Especially notable is Fubo Utaki, a sacred site that was highly regarded by the royal government of Ryukyu Kingdom and is designated as a National Cultural Asset by the government of Japanese. 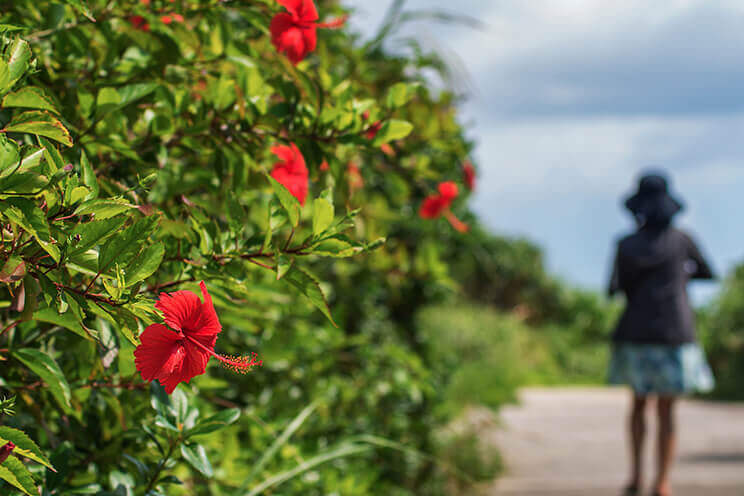 Additionally, although no longer held, Izaiho, a festival that took place every 12 years, as well as other festivals related to the creation of the Ryukyus and the introduction of grain have been handed down as cultural traditions. The people living on Kudaka Island believe the land of the island to be “borrowed from God” and live in a way as to preserve its shape. That is why, as an island with remnants from the distant past, you can enjoy the true landscape of Okinawa on Kudaka. 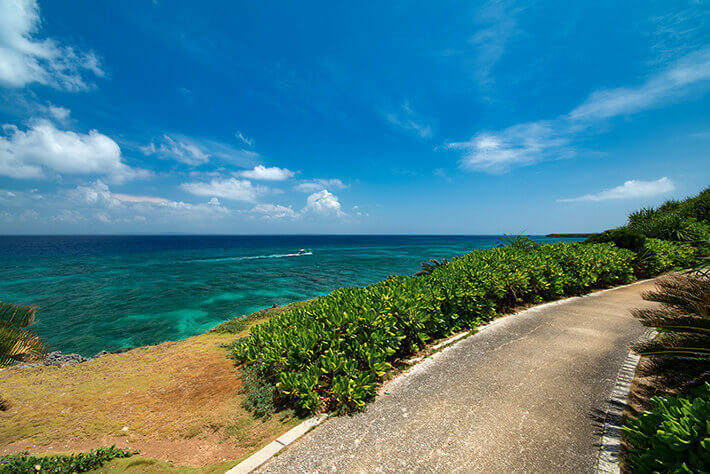 Be sure to enjoy the beautiful beaches that face Niraikanai. 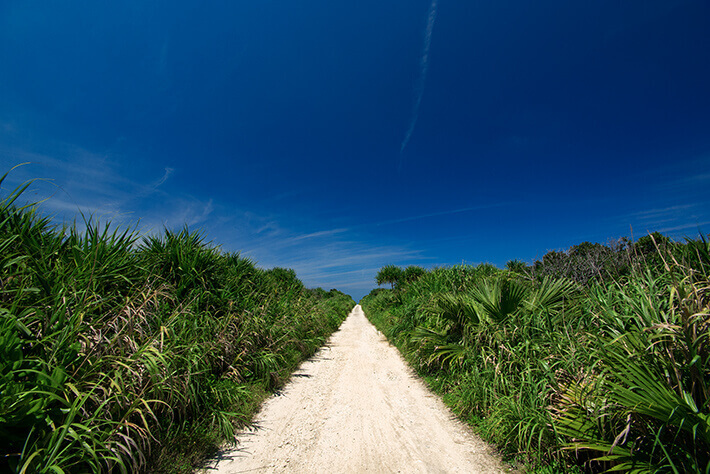 Also, wander about the island and enjoy its abundant nature. Because shops and vending machines can only be found within the villages, remember to bring a drink with you when exploring the island.